The Kaplankaya Wellness Resort, located in Turkey’s Aegean region, has won the ENR Global Project of the Year award in the category of Hospitality. The project team, including Office of Architecture Barcelona, Turner International LLC and Exterior Architecture (ExA), were invited to New York to attend the awards ceremony where 23 projects hailing for 17 different countries and six continents were recognised as outstanding examples of risk and rewards when designing and building internationally. ExA’s role in the Kaplankaya project involved developing the landscape masterplan which includes a varied mix of typologies such as naturally vegetated peninsulas, coastline and hotel and villa landscapes. 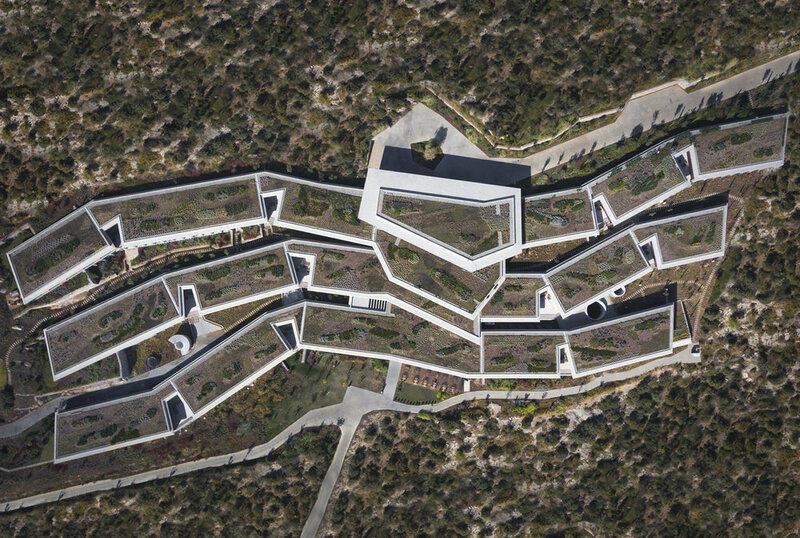 The centrepiece of the resort is a 6000m² undulating green roof planted with native species and designed to assimilate the low lying main hotel building into the landscape. ExA worked with the project team and client throughout all stages of the project, including detailed design and implementation.